The raccoon headpiece is an animal mask worn on top of the head like a hat. When played the actor is looking directly at the floor as the face of the mask is forward. It is s special design that allows the actor to play the theatre mask and then transform into the animal entirely. 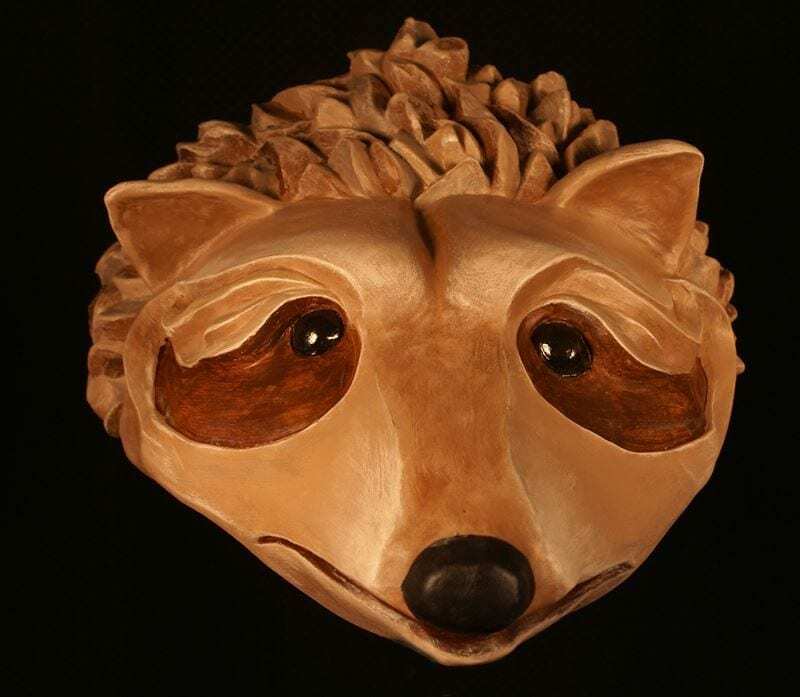 This mask was created for a local cultural center and its educational outreach program. The Raccoon tells stories of sustainability, environmental problems and addresses the amount of trash generated by humans. The raccoon likes the trash but feels like humans could be better at less food waste.